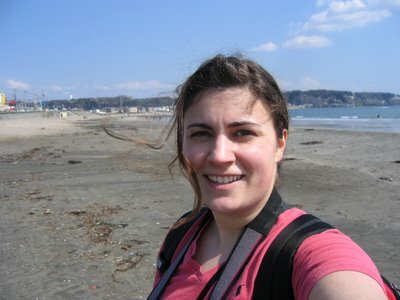 The World or Bust: Kamakura, Vol. 2 or Where's the Buddha? After Hachimangu, I had planned to take the hiking trails down to the Daibutsu. However, although I did find the hiking trail (with no small effort), after I left Zeniarai Benten I took a wrong turn, went down some streets (instead of the trail) and missed the Great Buddha altogether. So if you want to see pictures of him, you must go to this guy's page. 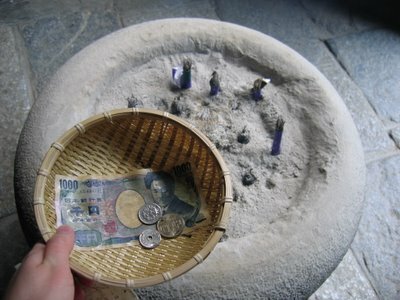 My clean money at Zeniarai Benten. 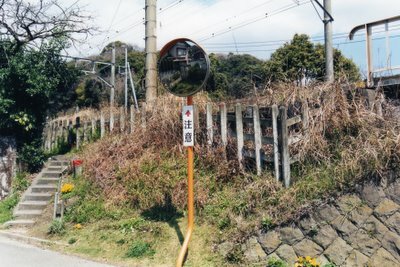 It's hard to see here, but in a larger version you can see the house reflected in the mirror. 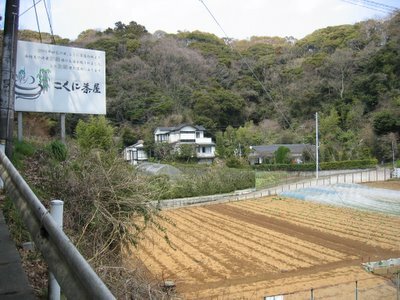 A farm outside the "front" entrance to Zeniarai Benten. You may be wondering when and how I realized that I was not, in fact, on the right path to the Great Buddha. Well, it happened around the Kamakura Station of the Enoden (Enoshima Densha) when a rickshaw driver offered a ride, and when I said "No thank you, I'm fine walking around," he said "Oh, are you going to the beach?" And I said "Yes, yes I am." And then to myself "Oh crap, I'm already at the beach? What happened to the Great Buddha?" But I pretended to be genuinely headed for the beach, and so to the beach I went. On my way, I met up with a kindly fellow who chatted me up in limited English about my camera, and what make was it, etc. His English was even more impressive when, after we parted ways, I saw him go to visit with a homeless person on the beach, and I realized that he himself was most likely homeless.